Pawtropolis and Helping Paws Rescue receives numerous phone calls and emails everyday from people wanting us to take their pets or pets that they have found. Unfortunately, due to this high volume we have made it our policy to only take animals directly from animal control. We really wish we could help everyone who contacts us, but limited resources make it impossible. However there are still ways we can help. Read this page in it's entirety for information regarding rehoming a pet. 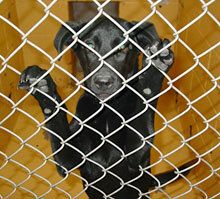 The goal of rescue groups is to rescue dogs in dire situations like death row at animal controls. We do work everyday to help put a small dent into the number of animals that are killed every year. Rescue groups want to be helpful but the truth is...even if we wanted to help we just can't with all the calls we get. Also, rescue groups have limited financial resources, so they will need you to take full financial responsibility for the pet even while in the rescue group's care. Saying this up front will increase the likelihood of a rescue being able to take in your pet. Rescuing is a hard job so please be patient as you make calls to groups and expect many to say they "are full" or "can't help." If your dog is a purebred you will want to contact the breed specific rescue groups. You can find these groups by doing a search online. Read along to find other suggestions for placement. The Spot Society webpage offers many links to mixed and purebreed rescues. Go here for a list of other rescue groups. It is almost impossible to rehome a senior pet! This phone call happens all the time, "I've had the two dogs for 10 years, but now we can't keep them. Can you take them?" In animal controls every single day cute adorable puppies get put to sleep. Dogs that you would think would be easily adopted. Now add on top of that the dog is old. 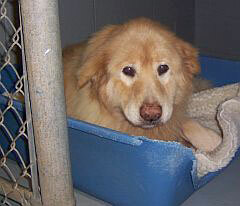 If an older dog is put into animal control the likelihood of him/her being killed is very high. We ask that you please not give up on your pets at this age. They have given you a lifetime of love. They just want to live out their life safe and happy. It is true that pet friendly apartments are harder to find, but they do exist. In Athens alone you can find lots. We have several listed on our Pet Friendly Housing page. So while it may take more work, it can be done. When you first acquire a new pet your future circumstances must be taken into consideration. You are making a promise to take care of this pet so it is worth the effort to look a little harder. Many times you can contact the animal controls in the area you are moving and see if they have any recommendations for pet friendly housing. A dog is only what an owner puts into it. Yes, some dogs are born with more energy then others, but whether they learn manners is 100% up to the owners. Most owners simply do not have the skills to properly train a dog. This is why they get frustrated when shoes are chewed, the dog jumps on you, etc. (Believe me I know!) This is why it is so important to explore obedience training options. If owners only knew how easy it was to eliminate negative chewing (properly incorporating a crate into the house) they would be more willing to keep the dog for its life-time. 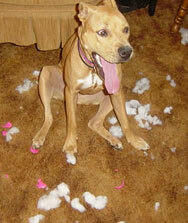 The number one reason a dog misbehaves is too much energy. Dogs were meant to walk, and walk, and walk and walk. So when we keep them in a house or back yard all day we cannot be surprised when they drive us crazy with too much energy. Our goal at Pawtropolis is to help you learn ways to make your pet a joyful member of the family. Cat adoptions are so low. You can find cute free kittens everywhere. It is definitely more difficult to find a cat a new home, but you still can. Maybe you should reconsider the decision to give up your pet. Keep in mind all the great resources Pawtropolis has to help you and your pet. We have private lessons, group classes and daycare (for when they are really driving you crazy.) If you tell us that you read this information and it helped you change your mind, we will give you $10 off any obedience class or private lesson. Okay, so you still need to find a new home for your dog. You need to be very realistic about how easy or hard it will be to do. This means you must understand that it may take a while in order to find a good home. So if you are moving this weekend and only have a few days, you won't have much luck finding a home in such a short time. Please make it your responsibility to keep the dog safe until a new home can be found. Now you need to spread the word. The more people that know about your dog the better his/her chances are. You need a great picture. Not a bad picture, I mean a GREAT picture. People are visual, and even if they shouldn't, people often make the decision to chose a pet based on how cute it is. This is why a bad picture will do more harm than good. Right an honest bio. Don't lie. Your goal is to find a home that will keep the dog forever, so you must be honest with them. Make sure the contact information on the flyer is accurate and that people can reach you easily. Now get this flyer EVERYWHERE; restaurants, stores, pet stores, animal control, and anywhere with a community board. Again we do understand that sometimes situations arise that make this decision necessary and even heartbreaking. All we ask is that you stay committed to the dog and do everything until you can find a good home. 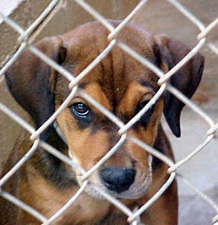 By finding a good home you are showing your commitment to the safety of your dog. If all owners in this situation did this there would be less animals killed every year. We wish you luck with this decision and luck in finding your pet a new home. I am amazed that dogs are one of the few species that actually seeks out the companionship of another species over their own. So many times I've come home from animal control with a new puppy. A puppy that has only known me during the drive to my house. I get home and my pack is there to welcome the new pup. We are in the backyard with my stable dogs and yet the pup chooses to come to me, stand under my feet and seek my protection. It chooses a human over it's own kind. How can you think dogs were put here for any other reason? They are here for us. So I ask everyone today to take a minute, maybe two, to just appreciate your dogs. Appreciate that unconditional, non-judgment love that only a dog can provide (yet all humans seek). Maybe give an extra cookie, take an extra long walk, give a massage, but above all use this day to recommit to them, to providing them all they need to be well-balanced, recommit to them that you'll be there until their last breath....after all, they would be there for you.